The Moon Collection is a cozy rendition of modern living spaces. 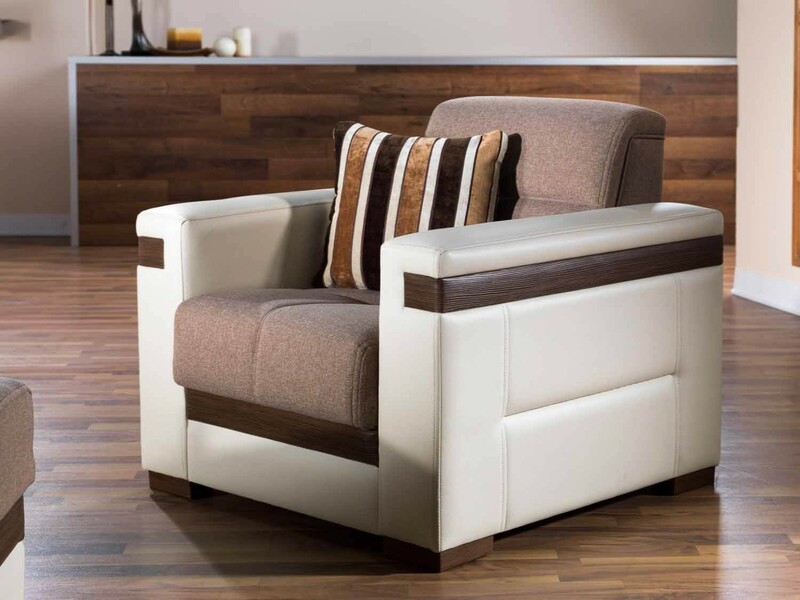 This smart set is complete and perfectly at home with leatherette applications, wood-colored accents, boxy wooden legs and subdued neutral tones. Let the Moon Collection take center-stage in your living space décor and reflect your flawless style. Rust and corrosion resistant galvanized mechanism and fitting parts. Steel innerspring coils with wrapped foam fill. 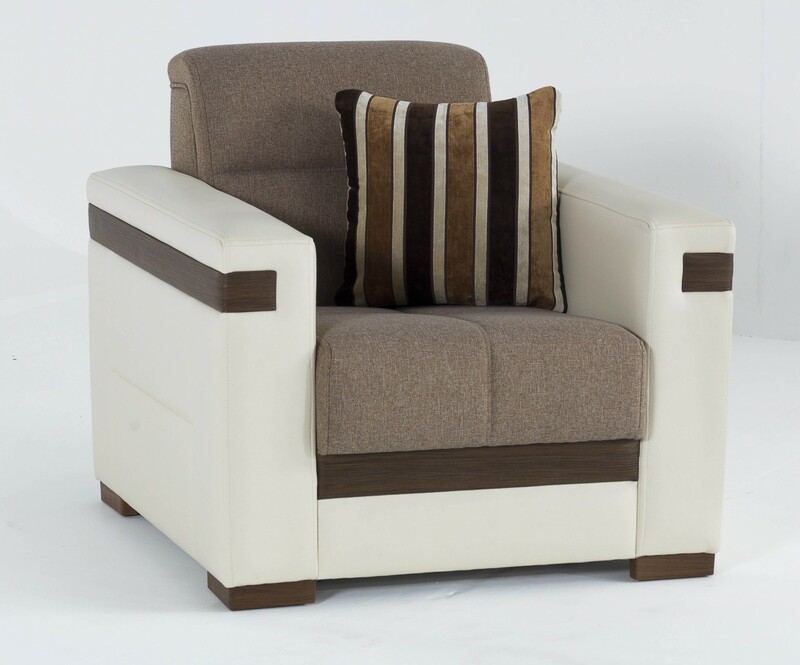 Contemporary upholstery with exclusive tailoring and fine detailing. 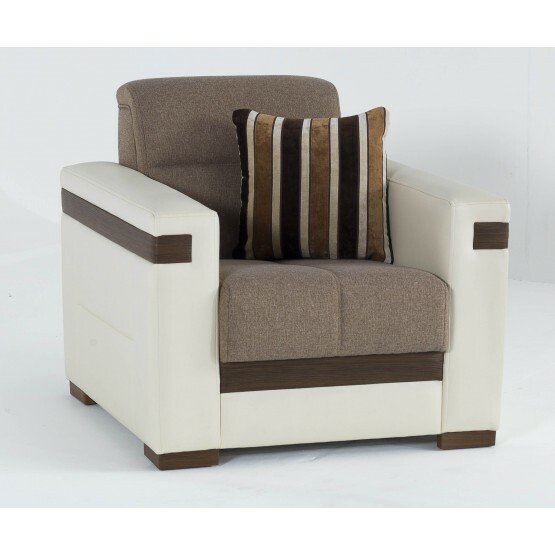 W35" x D32.6" x H31.5"
Offering modern and chic designs, a range of different products for different rooms in your house, and unique style of furniture, Istikbal is a well-known brand that needs no introduction. With professional manufacturers like Istikbal Furniture, you can expect nothing but outstanding quality and range of categories when it comes to the right furniture for your home. Don’t pile on the cheap, unreliable furniture when you can put your hands on the finest quality furniture at competitive prices. Just pick the right pieces that match perfectly to your requirements and enjoy the royal experience that is only possible with Istikbal Furniture. You don’t have to go tired of your nondescript home anymore when you have Istikbal Furniture available at Sohomod. We include their finest designs – based on both durability and structure – to our list for our clients. Check out the entire range and fall in love with designs that are traditional and classy at the same time. Give your home a whole new look by adding more style with the right furniture. The Istikbal Furniture available here is all you need to add appeal to each and every room of your home. So pick the best one and enjoy decorating with high-quality furniture like never before. Before you even start decorating with this high-end furniture that gives a modern and chic look to your house, there are a few important things to keep in mind. First of all, maintain a theme in your mind and follow it for decoration. In case you are picking individual pieces of the bedroom set from Istikbal Furniture, following a theme will help you avoid mismatching. The possibilities, in this case, are almost endless because you find a range of different categories of furniture here that you can match and use for different rooms. Find inspiration and follow it. Make the most of the available space in your room by adjusting the furniture right. It is always interesting to go differently with the room setting this time. You might pick up a different shape of sofas for your living room or a different style of dressing table for your bedroom. This would give a whole new dimension to your house. Rearranging and setting up the furniture right can also add valuable space in your room, making it appear larger and more spacious than it actually is. Now the only thing is picking the most suitable furniture. So don’t forget to keep these factors in mind and to check the whole range before making up your mind.